ICOVO: No ICO, No Future. Token Economy is an economy with visualizable, quantifiable and liquidity value, which was difficult to actualize in the monetized economy.Using Initial Coin Offering（ICO) , Security Token Offering (STO) and Non-Fungible Token(NFT）are effective methods for constructing Token Economy.These methods play a prominent role in constructing original Token Economy through fundraising and selling.We are supporting to construct innovative Token Economy through below activities; actualize a healthier ICO ecosystem with scam protection protocol DAICO, offer NFT sale/market place with higher level UX design and construct STO platform corresponding country regulations. We are supporting to construct innovative Token Economy through below activities; actualize a healthier ICO ecosystem with scam protection protocol DAICO, offer NFT sale/market place with higher level UX design and construct STO platform corresponding country regulations. 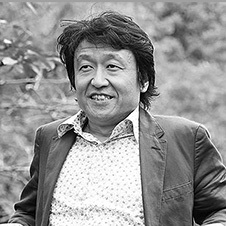 Already with extensive experience building innovative projects in the internet infrastructure industry, dining industry, music industry, IoT and AI-related enterprises under his belt, Akihiro Yamase then delved into the blockchain terrain for the next 2 years, thus laying the foundation for ICOVO's vision in 2018. 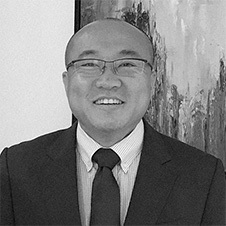 Soon after, Masahiko Kumada, a Singapore-based Financial Professional currently running several innovative global startups, joined the team as CFO (Chief Financial Officer) in order to drive the financial and global development of Akihiro's vision. 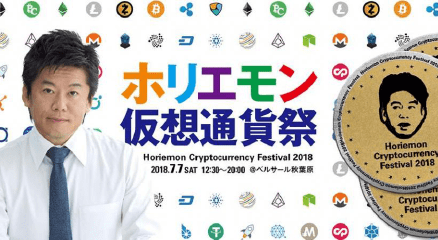 Following Masahiko, one of the top engineers driving the blockchain industry, and who won the Best Innovation Award at the Global Blockchain Summit 2016, Yoshikazu Nishimura, became an advocate of Akihiro's vision. Through collaboration with G.U. 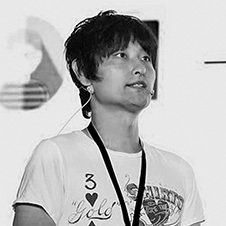 Lab, of which Yoshikazu is the CEO, he came on board as CTO (Chief Technology Officer) to provide technical support for the ICOVO project in its entirety. 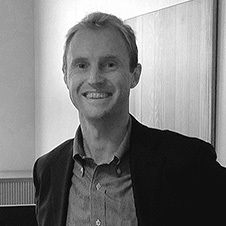 Finally, Oliver Gomm who has experience operating multiple enterprises in Switzerland joined the team, setting up ICOVO's base in Switzerland, handling legal affairs and General management to fully support the back office operations as CAO (Chief Administrative Officer). The ICOVO team consisting of the five members Akihiro, Iwao, Yoshikazu, Masahiko, and Oliver is structured to deliver phenomenal service at a higher dimension, through a fusion of their dynamic and exceptional expertise. I established KDDI Web Communications inc. in February 1987 and simultaneously became its CEO/COO, resigning in March 2013. In April 2010 I established Knowledge Society, a service office company for startups. After resigning from KDDI Web Communications inc., I established Yamase Holdings Inc. in February 2015 with the aim of investing in startups and holding shares of subsidiaries. 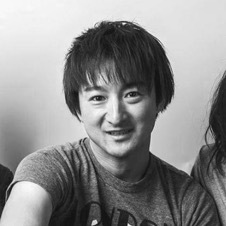 In September 2014 I established Peace Voice Entertainment inc., a J-pop artist management company. In June 2016 I established upLive Inc., a self-promotion and AI musical composition application provider for artists. All companies were established in Tokyo. 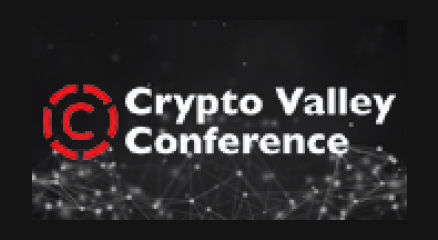 In January 2018 I jointly established ICOVO, which provides ICO support services, in Zug, Switzerland with Masahiko Kumada and became its CEO. I first established Financial Planning Office First Place Co Ltd in 2001in Japan. I acted as CEO/ Founder for 9 years. I resigned from First Place Co Ltd and incorporated Macnel Administration Pte Ltd in 2010 in Singapore. We provide overseas operating companies with outsourcing services and business consulting. I work as a director and an advisor in some industries including Medical, Education and Global investment. And I joined ICOVO business as a Co-Founder/CFO in 2018. Chief Blockchain Engineer and Chief Tech Evangelist in ICOVO project. Believe that blockchain will take the world to the next stage and the healthy market is the key factor for that. Master of computer science. Majored in game informatics and developed game playing engines in several chess like games. Got the top grades in some major competition about those games. Started working in the field of factory automation at Canon, Inc. after graduation. Established WLTC, Inc. which undertake projects related to blockchain, natural language processing and machine learning in 2016. 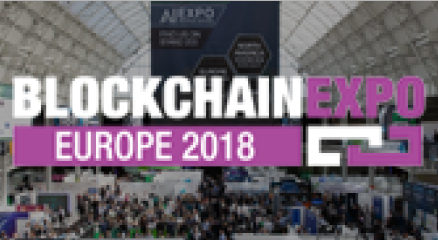 In the blockchain field, have worked for ICO, development of token exchange and etc. Got MVP in Blockchain Hackathon Tokyo 2016. Then after that I founded Saltwater Partners in Switzerland September 2011, to provide professional investor consultation services, advice and support in the fields of Hedge Funds and Private Equity. I also became Managing Director of Tune Capital AG in 2012. At Tune, we provide Investment Management and Consultation Services amongst other to Professional clients and Institutions. Now in 2018, I am excited to have joined ICOVO project in January 2018 as Chief Administrative Officer. He met blockchain technology in 2013, and since then he has developed a distributed job marketplace and the website where you can see the best practices of smart contracts. 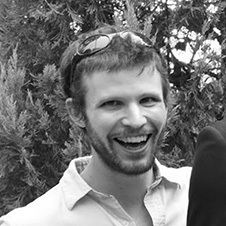 Bringing his experience as a self-taught programmer & designer, he drives the system design and development at ICOVO. 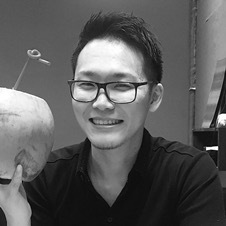 As a bilingual person with a deep understanding of the blockchain technology, he also serves as a technical evangelist. 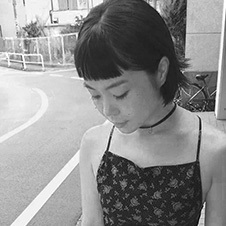 Ria joined ICOVO as an Evangelist just as she was finishing up with her Ph.D. in Medical Science from the University of Tokyo in 2018. She grew up in Silicon Valley and after graduating from the University of California, San Diego with a B.S. in Biology, she worked at a biotech startup before heading off to graduate school in Japan. Throughout graduate school, she worked as a freelance translator and as head teacher/curriculum designer for an education-related startup. 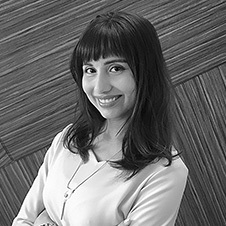 She’s passionate about democratizing innovative technology and helping ideas grow into real solutions through ICOs. 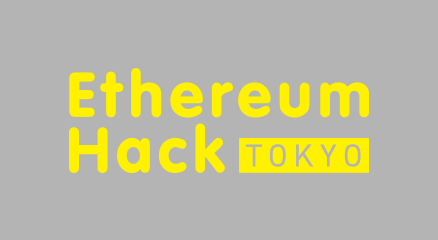 As an American who was born and raised in Japan, Tyler is utilizing his fluency in both English and Japanese and his years of experience as a translator to serve as an evangelist for ICOVO, driven by his passion for blockchain technology. I am pleased to have joined ICOVO project. I started my career at the Korea’s biggest bank (Kookmin Bank) in 1998. While I was in the bank, I honourably won the best employee of the year thanks to the top 1% business result. I worked at Protrust Asia as a Country Manager since I moved to Singapore in 2008. I have built intensive institutional networks while I was introducing European alternative funds to Korean market in the company. I joined Tune Capital Management as a founding member in 2011. I have created and managed 3 funds that are European Fund of funds, CTA fund and Korea IPO fund. Because of my various experiences in fund management, I have an extensive knowledge of fund establishment and operation. Adding to it, the time in financial sector in Korea, Singapore and Switzerland have made me to speak fluent English, Japanese and a bit of Czech language. I worked for a major apparel company doing NY Collection brand PR for 13 years. During that time, I planned, executed, and calibrated season visuals and magazine tie-ups as well as collection and brand events. Two of my various responsibilities were communicating brand information and corresponding with media and photographers. In 2015 I joined Yamase Holdings as assistant to the CEO, Akihiro Yamase, and in 2018 also became Communication Manager for ICOVO. Professional experience Dr. Tom Frey has been working for Baumgartner Mächler since 2009 in the area of civil law and civil procedural law. 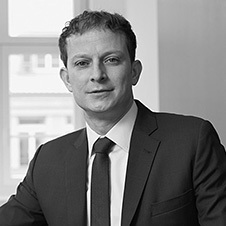 His work has a main focus on litigation proceedings in the banking sector as well as in other corporate law matters and disputes. 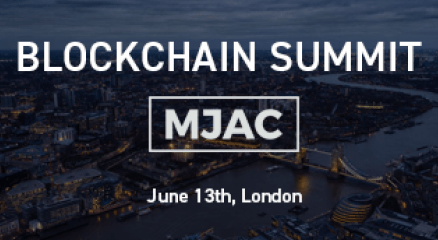 In addition, he advises and represents clients in contract, employment and tenancy law matters as well as in the area of data protection and legal matters relating to the blockchain technology. 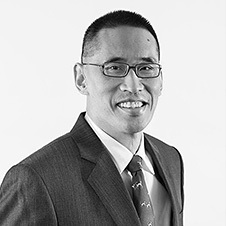 Li Fei is actively involved in advising on legal aspects of distributed ledger technology/ blockchain, cryptocurrency and ICOs (initial coin offerings), including legal and regulatory compliance, under Singapore law. 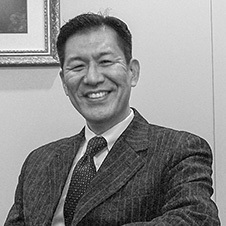 In addition, he has experience in acting for banks on varied transactions and in general corporate law, and also helps individuals a part of his private clients' practice, in estate planning, including the legal aspects of wealth management, advising on and setting up trusts and off-shore structures to secure their future and the future of their families. ICOVO Project was started. ICO Platform Implementing DAICO was designed. DAICOVO which is a customizable smart contract　integrating DAICO was designed. Corporate site was opened. Press releases in　Switzerland, Singapore Japan were distributed. Preparations for ICO was started. 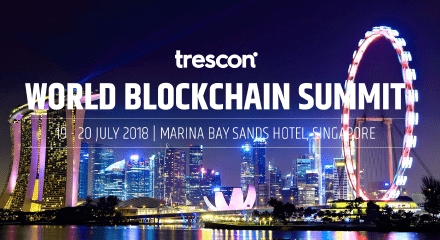 White List registration, KYC/AML and CrowdSale will be started. June 22, 2018: Features such as local wallet and Dashboard (KYC/AML, Whitelist registration)implemented. 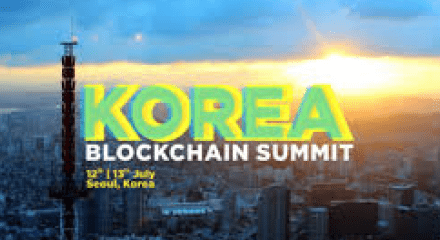 Events in Zug , Tokyo and Singapore will be held. ICOVO Web version 1.0.0 implementation for ICOVO’s Dashboard will be launched. CrowdSale will be started and OVO token will be　listed on exchange. September 15, 2018: DAICOVO interface, draft, voting features added. ICOVO News Media (icovo.net) will be opend. DAICOVO version1.1.0 implement of Whitepaper versioning will be launched. 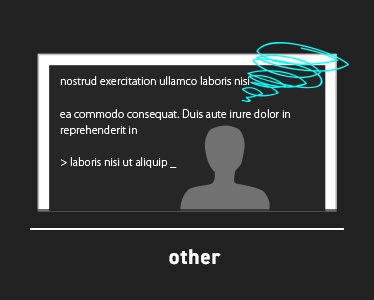 ICOVO Web version 1.2.0 implement of　management Mypage for drafter will be launched. January 1, 2019: Dashboard (Whitepaper explore, ICO project list) and Decentralized Exchange(DEX) integration feature added. Co-working space for innovative blockchain-related startups will be opened in Zug, Switzerland. DAICO version 1.2.0 implement of parameters setting will be launched. 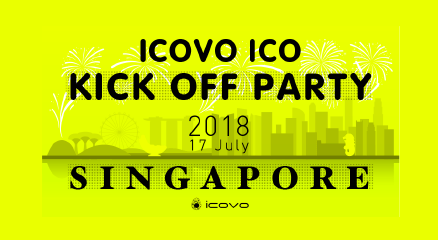 ICOVO’s concept for 2019 will expand from the former ‘’ICO support service implementing DAICO’’ to ‘’Token economy platform including ICO, STO and NFT sale’’. Along with the expansion, we will put a high priority on releasing NFT fundraising platform which is currently expected to become the most booming and growing business. ICO support service will be started. Token economy listing site ICOVO Web will be launched. OVO Token will be listed. NFT platform will be launched. First Big project will be listed. Fundraising in Stable Token with DAICO will be launched. 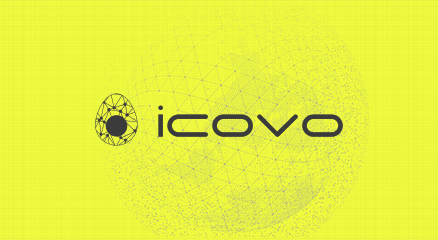 ICOVO is an ICO platform with an investor protection mechanism. It makes the ICO environment healthier by utilizing DAICOVO smart contracts, which implements the DAICO concept, and an ICO optimized Wallet, the ICOVO App. People should choose projects with concepts or products that are a first in the world and relationships with influencers in the industry. 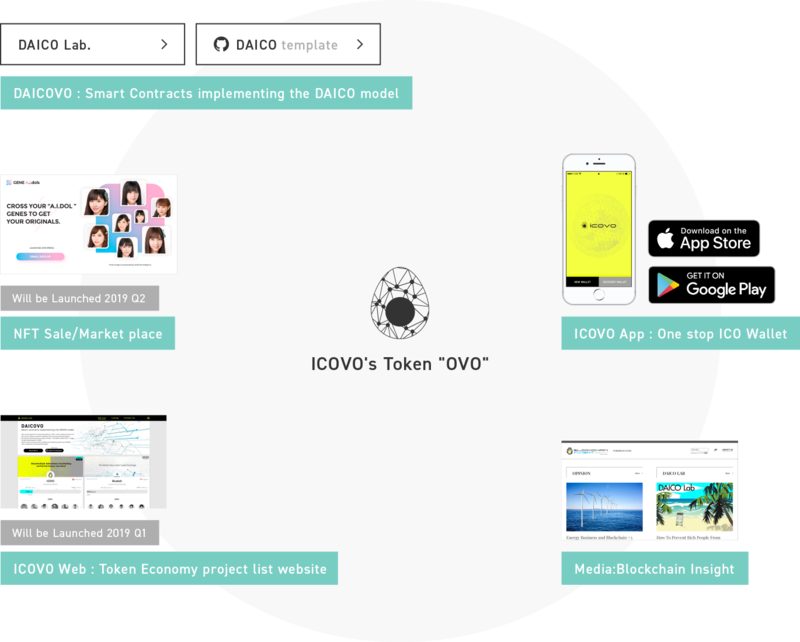 The ICOVO project is the world’s first project to implement the DAICO concept proposed by Vitalik Buterin, co-founder of Ethereum, to enable anyone and everyone to use DAICO through a user interface designed for easy usage by non-technical users. 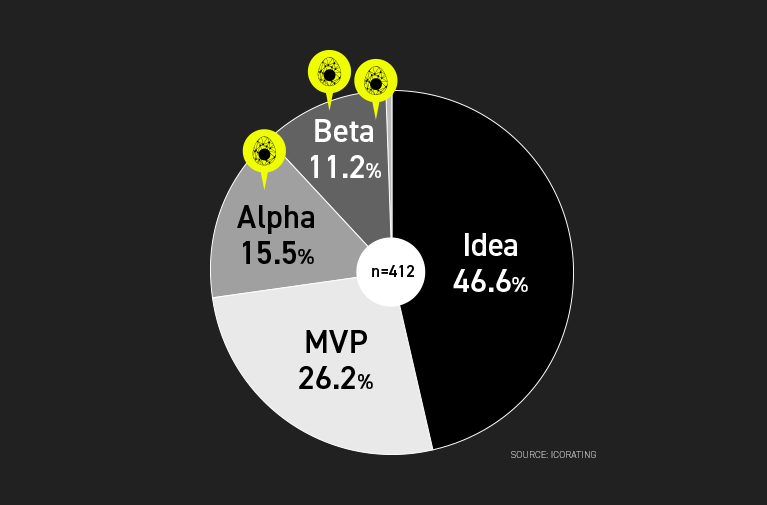 People should choose projects not only with an idea but also with a complete product, or at least at the MVP stage or alpha version stage. 46% of the projects in 2018, Q1 only had ideas. Even if people have skills to come up with a great idea, nobody knows if they are capable of achieving it. ICOVO has a highly skilled development team, and already released commercial versions of their products. People should choose projects that thinks carefully about token circulation control design, especially to decrease its circulation amount in the market. Some tokens only have the functionality for substitution by Ethereum and Bitcoin. Those tokens have no demand from the market and its value will not increase. Some tokens will increase its supply amount by its nature, and those tokens tend to decrease its value. OVO can be used for purchasing other tokens issued by projects on the ICOVO platform. At the rate of Ether on the market, OVO can be used as a 25% discount coupon. Investors prefer to use OVO over Ether when it comes to investing in projects on our platform. We applied the following 3 mechanisms to lower the OVO circulation amount. 52 million tokens that cannot be sold immediately. Among the 200 million OVO tokens to be issued in total, 11 million tokens distributed to team members and contributors will be locked up for 1 year, and another 11 million for 2 years. Additionally, if 60 million tokens are sold during the closed sale, 50% or 30 million of those tokens will be locked up for 6 months, leading to a total of 52 million tokens that cannot be sold in the market immediately due to a hard lockup. For the 12 million OVO tokens issued for marketing purposes, token holders that hold on to them for over 6 months will be offered a 10% bonus of the amount retained. Another 14 million OVO are set aside for token holders that hold for over a year, where they will be offered a 10% bonus of the amount retained. These OVO tokens set aside for free distribution will be locked up until they are bestowed. At the same time, OVO token holders’ retention rate is expected to increase through free distribution of OVO tokens to token holders that hold on to OVO for 6 months or 1 year. OVO is locked in proportion to the number of project list increases on the ICOVO Platform. 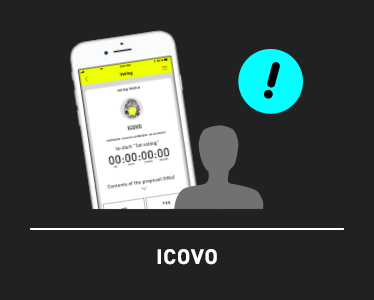 The projects listed on the ICOVO platform can procure funds by accepting either ETH or OVO. The procured funds will be managed by DAICOVO and can be withdrawn by a preset tap (amount that can be withdrawn per second). Procured ETH will be withdrawn first and OVO will be later. The mechanism is set up so that ETH shall be withdrawn first, and OVO can be withdrawn only after all ETH has been withdrawn. Thus, OVO will be locked up through DAICOVO to ensure it is not sold immediately on the market.